LakeLeopardz Chumani - Northwest Bengal Cats Beautiful, friendly Bengal Cats and kittens for sale in the Pacific Northwest of Oregon. 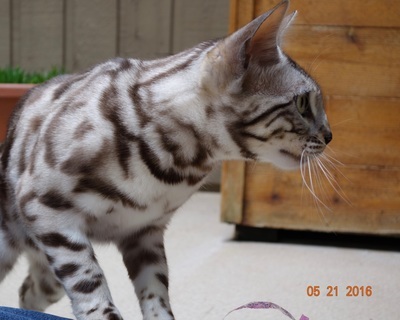 Chumani is an incredibly special and unique Bengal girl. 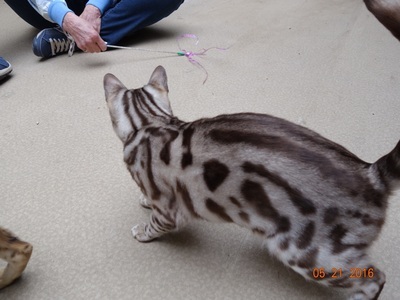 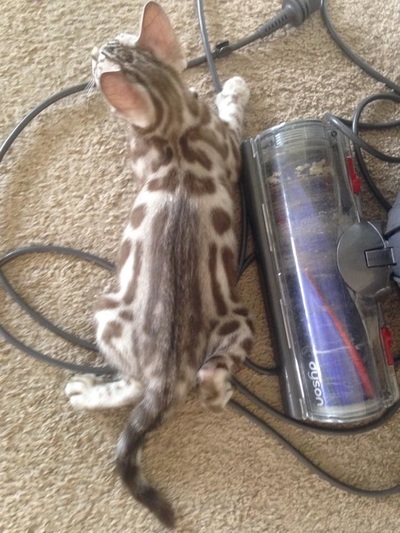 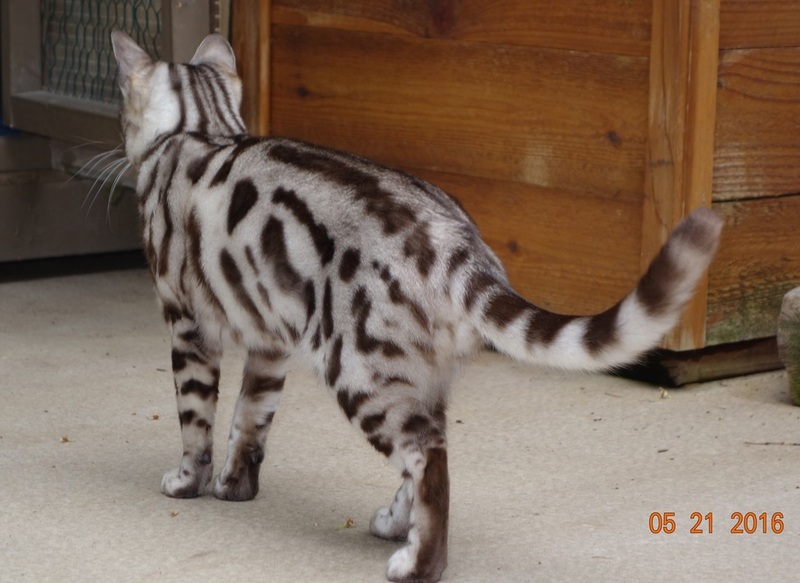 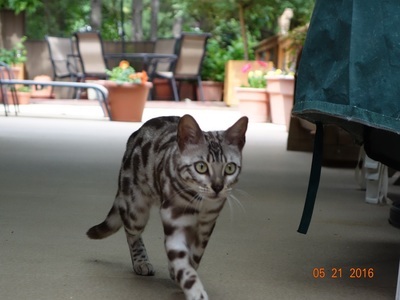 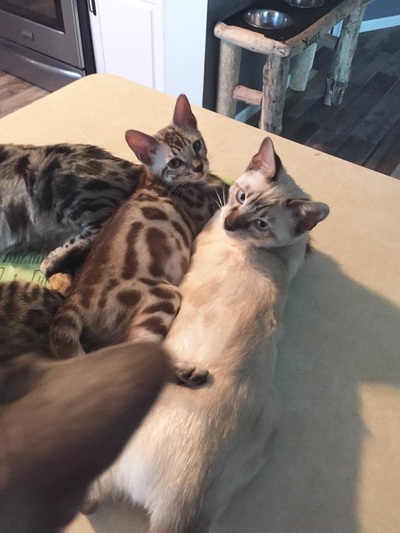 She is a Seal Sepia Silver Spotted Bengal girl ~ say that fast 10 times!! 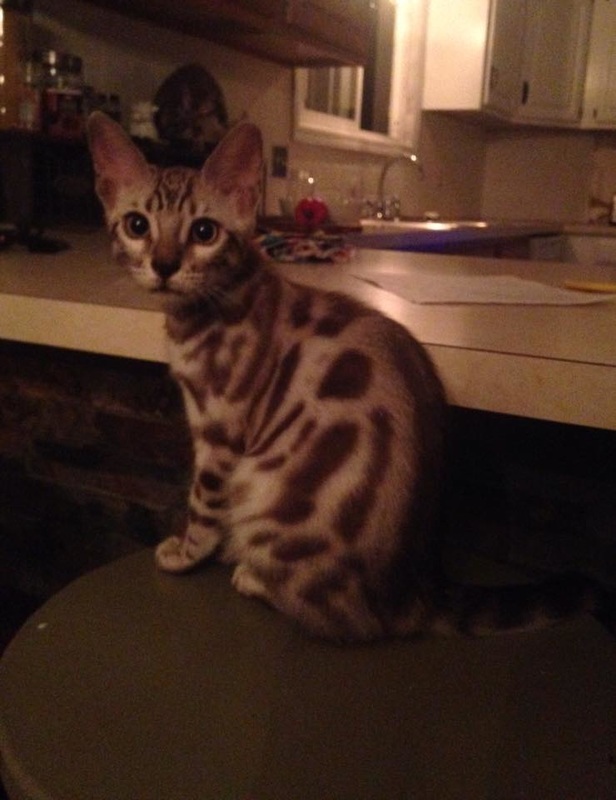 Her pattern is a bit like modern art; some people look at her and think she's a marble, some think she's a spotted. 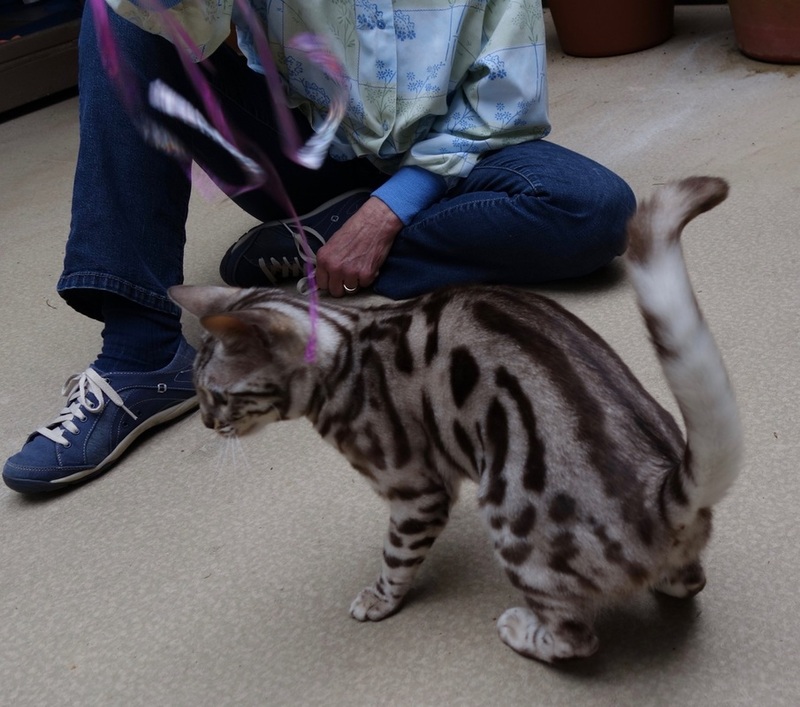 In reality it doesn't matter to us because her luxurious coat and sweet as pie personality is the absolute best. 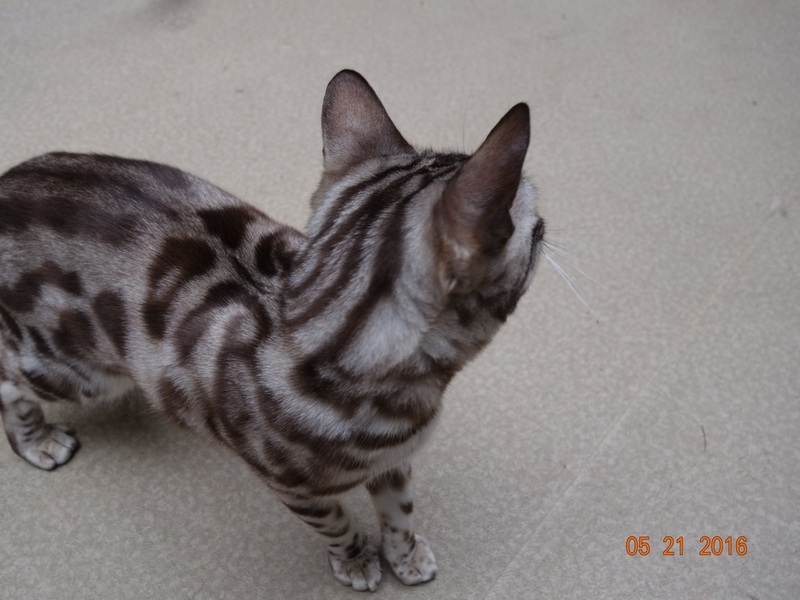 Chumani is totally adorable and we are humbled and grateful that Micky Janicek and her family allowed this girl to come live with us and brighten up our lives.